Preview season began in style on Saturday night as OGAE Latvia hosted the fifth annual Eurovision PreParty Riga. Four acts jetted in from all over Europe to perform their Eurovision 2018 entries before an eager crowd of Eurofans and press. But the highlight of the night for Eurovision enthusiasts was hearing this year’s acts sing live — in many cases for the first time since their respective selections. So it’s time to watch Lithuania’s Ieva Zasimauskaite, Czech Republic’s Mikolas Josef, Latvia’s Laura Rizzotto and Moldova’s DoReDos one more time and sound off on who impressed you the most. Who had the best performance? You can watch all four clips below. Then vote in our poll. You can vote for as many performances as you like, but you can only vote ONE time. Be sure to check the box next to every act you want to support before submitting your votes. EUROVISION PREPARTY RIGA 2018: WHO WAS YOUR FAVOURITE? I feel just listening the Lithuania’s song it isn’t so great or emotionally connecting but Ieva’s presence on stage lifts the song hugely. Nickolas was poor- bland! It is ironic how some ballads are being called boring but songs like this are boring when not performed. The video was good and I liked this originally but this performance is weak and awkward. Do we know when they will announce the semi final running orders? How will people vote for Spain if that OP ISN’T ON THE LIST!!!! Because it’s cheesy AF. And it feels manufactured. And I thought the Greek fans were annoying. Fernando este chat es solo para la preparty de riga. Aqui no pinta mucho que pidas el voto hay otro poll que se llama quien te gustaria que ganara eurovision buscalo alli tevleeran gente de todos los paises participantes. I don’t know if people are just trolling at this point, but the obnoxiously aggressive Spain fans are really getting my goat. It’s possible to be supportive and humble. I love “Lie to me” but it was a lazy performance in my opinion. I hope Mikolas will improve on a bigger stage. My vote goes to Laura Rizzotto. Classy. I just have to say that these pre-party’s can be so annoying! Why can’t people just shut up? It’s so rude and it feels like people aren’t interested at all. It’s interesting that Mikolas is still singing the “old” version of the song when there is a clean version. I wonder if he’ll start singing that soon, or only in Lisbon. Spain can’t win the vote for who performed best in Riga – because they didn’t go. Perhaps you should t spam every thread? My honest vote goes to Laura Rizzotto – Excellent live vocals, and the moves were all there. Well done. To be fair, DoReDos always had a great stage chemistry/performance, only their NF was on a really low financial bar and it all looked way cheaper than it could on ESC. All four acts were great last night, so my vote would go to Ieva just for the fact that her song makes me so emotional. I’m finding it difficult to take the song seriously when I’m constantly mishearing a critical lyric. I keep expecting owls to descend on her like in “Harry Potter”! I haven’t reviewed Lithuania’s song in full yet, so maybe I just haven’t connected with it yet – I might like it better after that. No worry, this is an opinions blog. 🙂 I must know my favorites are gonna be criticized. Songs I criticize are someone’s favorites too. That’s how it goes. I know that pronunciation can butcher a song. For me, Russia/Ukraine/Belarus all have serious pronunciation problems, which put the songs down. I love Lithuania, but I can understand if someone finds the pronunciation of ‘old’ odd. Wow Ieva vocal is so beautiful and strong! Hi guys! Another poll here! You can vote from now in the semi finals of Eurovision 2018! 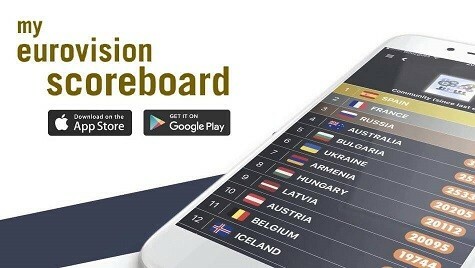 There is no Czech Republic in the first Semi in this poll! There’s – it starts with the letter R.
I am mighty surprised of Latvia’s poor success in the polls and at the bookies. The song is full of emotions, her voice is flawless and the stage presence is professional. One of my favorites this year. Hope she is the dark horse in Lisbon and takes a respectable top 5 position in the final. I was expecting some negativity towards Laura since “Esamiba” was a big fan favorite, but I also think that people are overlooking her. Since she has been very consistent on every live performance, I guess (and hope) this maybe could change when the rehearsals begin and some acts fail to deliver the same quality. Those “Esamiba” stans are annoying as heck. The song wasn’t even that good. There’s no way that could have been the winner. From the videos I see It looks like Latvia and Lithuania were the nicest. Nikolas Josef looks a bit lost with no self confidence. The only song I don’t like is “Lie to me”. It’s too average and you don’t need good vocals to sing it. To be honest, the sound quality in Riga Pre Party was as poor as always, so it’s difficult to judge. But Mikolas and Ieva were quite good, the rest… so-so. Laura’s vocal is impressive itself, but sadly, she has no stage presence. DoReDos were just one big hot mess, in my opinion. They were all better than i expected to be honest. The one act who impressed me the most is Ieva from Lithuania, she is certainly the dark horse act to qualify in my opinion. Her live vocals were on point. A simple but polished performance. Although this song isn’t among my favourite songs this year to be honest. I can’t deny the fact DoReDos and their song “My Lucky Day” from Moldova were really entertaining.on the stage. My favourite songs won’t probably win (Albania, France, Armenia), so I’ll root for Czech Republic. I’m not a big fan of his song, but he has vocals, charisma and stage presence. Plus Praga would be an amazing host city, and Slovakia could be back in 2019. I think “lie to Me” will be the best-charting song of the contest this year. The 3 remaining songs are borderline entries for me, I wouldn’t bet my money on none of them to see if any qualified. Latvia Moldova Lithuania was good, Czechia was very average, the way he dance and his song are definetely bad… sorry bookies you should wake up he is not material winner not even top 5. It’s ieva. Why do people think that it’s L? Why would her name start with a lower case L?! Lol.